Security before your eyes. Effective protection. Little user effort. You see KeyScrambler encrypting live on your screen. And you know that your typed information is safe from keylogging attacks. "KeyScrambler from QFX Software can protect users from phishing emails and malicious websites that deploy key logging software to mine your personal details." "KeyScrambler is a powerful tool that can effectively protect even against new keylogging malware." 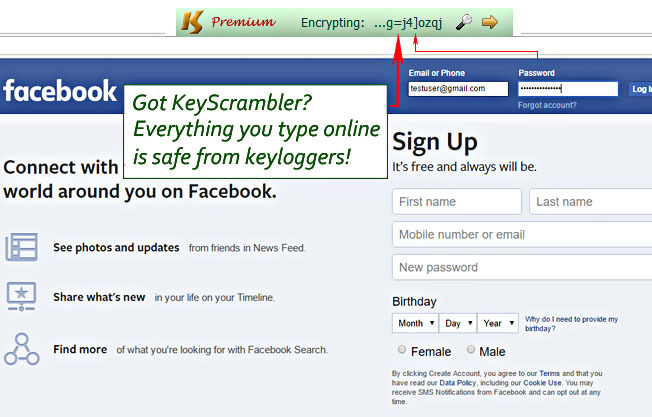 "Keyscrambler is very simple in its concept but very efficient on its use. I highly recommend it if you are an aficionados of online banking or online shopping!" One of the 10 Best Free Lightweight Security Tools. One of the 8 Essential Privacy Extensions for Firefox. One of the best Internet Explorer security add-ons. 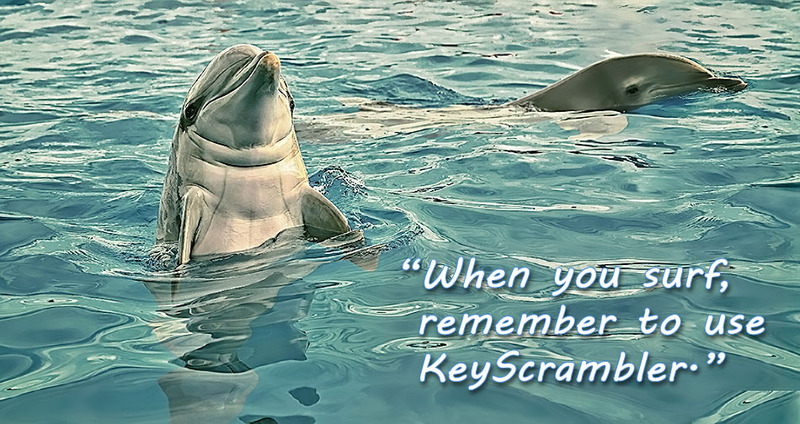 "The beauty of a program like KeyScrambler is: Once installed, that’s it. Forget about it and let KeyScrambler be another layer of protection in the fight against financial malware." User Mickey Cashen is featured for building "a small fortress" against cyberattacks using effective freeware such as KeyScrambler. "KeyScrambler is one of its kind program that does its job exceptionally well. I have tested it with some keylogging programs and none of them could catch what I was actually typing." One of the 15 Great, Free Privacy Downloads. One of the Top 7 Firefox Add-Ons for secure web browsing. Albert Lauchner, deputy editor-in-chief of tecCHANNEL, calls KeyScrambler an "advanced method" against online fraud. One of the "11 clevere Passwort-Addons für Firefox." KeyScrambler is recommended by Ken Dunham, director of the VeriSign iDefense Rapid Response Team, as the way to prevent keylogging. ". . . an extra layer of protection against malicious keyloggers. No one can steal your credentials if you are using KeyScrambler." "The use of KeyScrambler could help counter the scourge of identity fraud..."
KeyScrambler is voted as a "must-have Firefox extensions" by Firefox users. Choose a KeyScrambler Edition that works for you. Encrypts typed info in 60+ browsers. Encrypts typed info in 170+ standalone apps. Automatically updates to new versions. Encrypts typed info in 140+ business programs and other advanced security features. Sep 8, 2018 KeyScrambler 3.12 released. Get answers and trouble-shooting tips about KeyScrambler. Links to and brief summaries of key pages help you locate relevant info quickly.